Carriageway resurfacing work is due to take place from 18th March – 22nd March. A complete road closure will be in place 0700 – 1900 whilst the work is being carried out. As you can see, the closure covers much of the road around the village – residents will only be able to enter and leave from the southern-most point on Mitchell Way or from Bristol Road in the north. There will be no access to the Bourton Road going West. The letter below was sent to all households in the village. 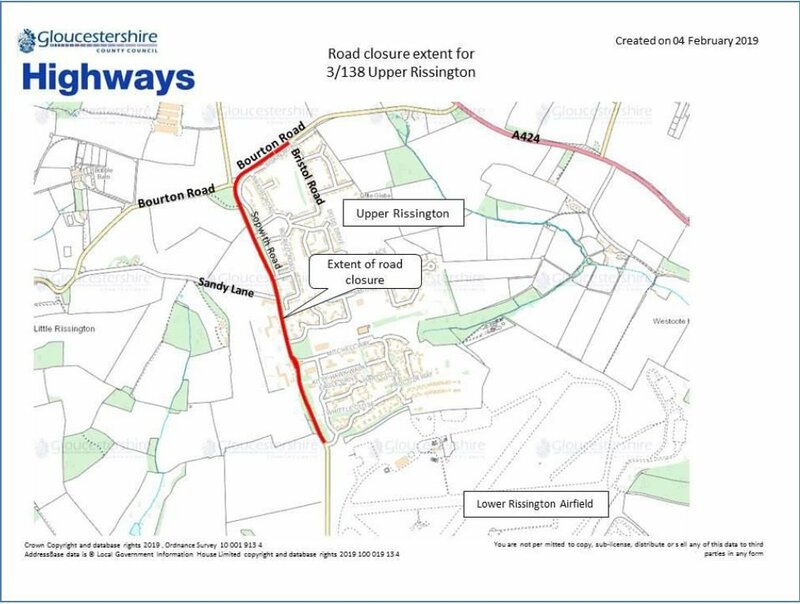 Also shown is the official diversion via Bourton and Great Rissington. For scheme details and updates, please visit socsi.in/v4Fdu.